According to national surveys, over 63% of the cost of upscale bathroom remodels can be recouped from the sale of the house, with that percentage being even higher in the South Atlantic region. Bathrooms can be so much better than just an area of the home used to get ready for work. More and more homeowners are turning their bathrooms into luxury suites featuring the latest upgrades. Mirror, Mirror on the Wall, What’s On TV? 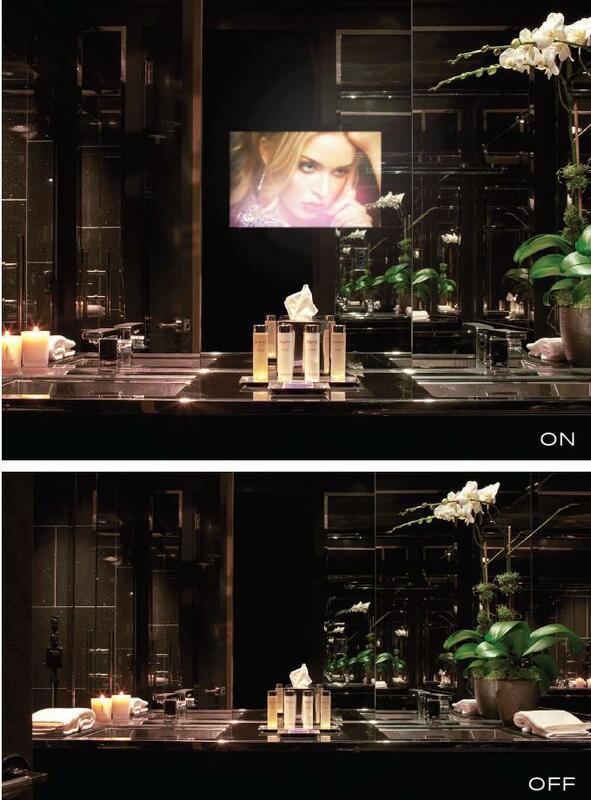 One of the hottest trends in luxury bathrooms is the installation of an LCD/LED television located behind the wall mirror. With a touch of a button, users can catch up on the news or weather while getting ready to leave the house. When the TV is off, it becomes invisible and only a mirror is seen. The television can be mounted between studs behind the bathroom mirror, preferably in a closet where the device can get proper ventilation. A mirror without the black backing in the section where the TV will shine through is needed. The television’s audio can be heard through in-wall or ceiling recessed speakers. Approximate cost: $2,500. A personal steam shower can relax muscles and minds, as well as help to open pores and sinuses. To turn a shower stall to a steam room, much needs to be done in order to get it right. This includes adding a steam generator, electricity to power the generator, vapor-proofing all of the bathroom surfaces, having tightly-fitted doors, and a strong exhaust fan to remove excess steam. A slopped ceiling ensuring condensation runs back toward the shower is preferred. Approximate cost: $7,000-$10,000. Enjoy a customized shower experience with a computerized, programmable shower. With just a few button pushes, you can digitally set the exact water temperature, exact water pressure, water massage settings, multiple shower head and body spray settings, and steam settings. Even music and lighting settings can be programmed for additional enjoyment. The units can hold on to multiple pre-sets, as well. Approximate cost: $3,000-$4,000, plus installation. Underneath the tile floors, thin, electric warming cables are installed and connected to a hidden power source. Mats with electric coils already inserted can also be used and custom cut to the bathroom’s exact measurements. A wall-mounted programmable thermostat controls the floor’s radiant heat. Approximate cost: $1,500-$3,000, plus tiles and electrical work. Getting out of a hot shower and bath can be a much more pleasant experience with a warmed towel waiting for you. Adding a towel warming drawer to the bathroom is the best way to have that happen. 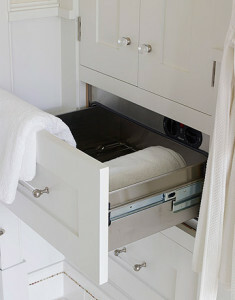 A steel, heated drawer with adjustable settings can be added to most cabinetry, or in some cases, into the wall. (Robes can also be folded up and warmed while you shower.) Approximate cost: $1,500-$2,500. While this might sound like a simple upgrade, it is trickier than you think. Faucets come in a multitude of shapes and sizes. Each one will require its own set of holes in the sink area counters. A single-holed faucet assembly offers the easiest installation and temperature control. Fashionable wall mounted faucets require no countertop holes, but will require opening up of the wall behind the sinks. Some faucets may require additional remodeling charges of new counter tops and/or sinks, plus plumbing upgrades. Approximate cost: $200-$2,000, depending upon tastes. Whether you’re thinking about remodeling your home in the New Year, or are considering purchasing a new luxury home, contact Norka Parodi and The Norka Group – South Florida’s real estate experts – at 561.571.6489.